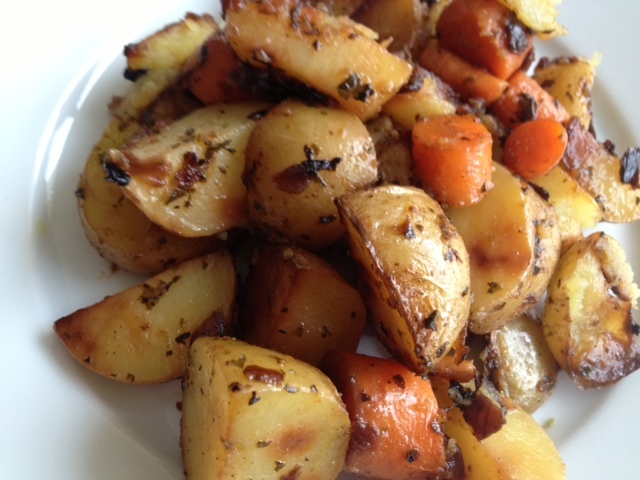 Tangy Roasted Potatoes & Carrots. 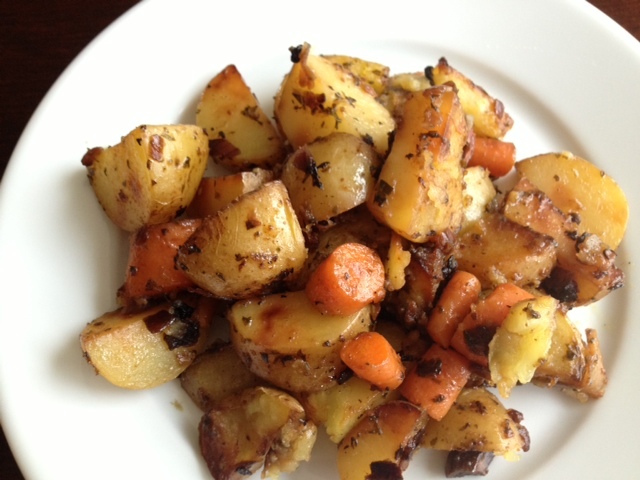 These roasted potatoes and carrots are super yummy and easy. 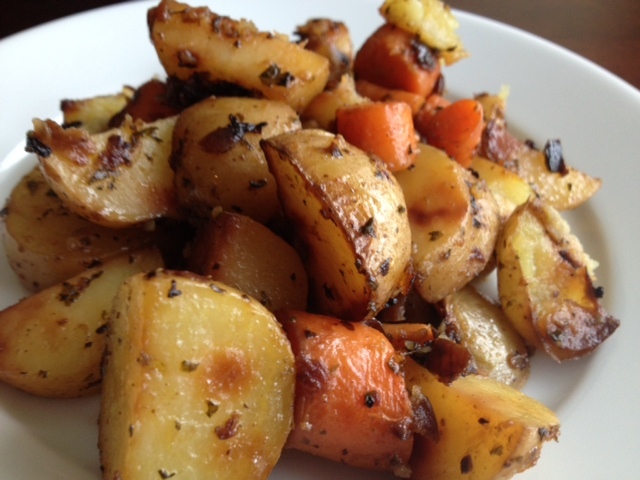 They have a tangy and robust flavor and would compliment any meal nicely. Must try, must eat! 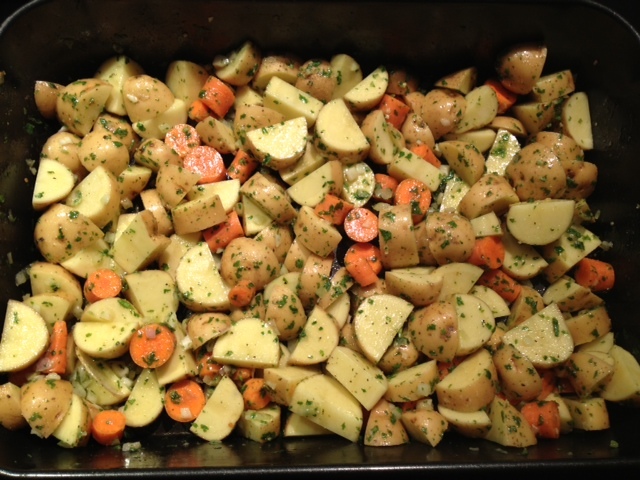 In the food processor, add the basil, vinegar, garlic and olive oil. Pulse 2-3 times to blend and lightly chop the basil. 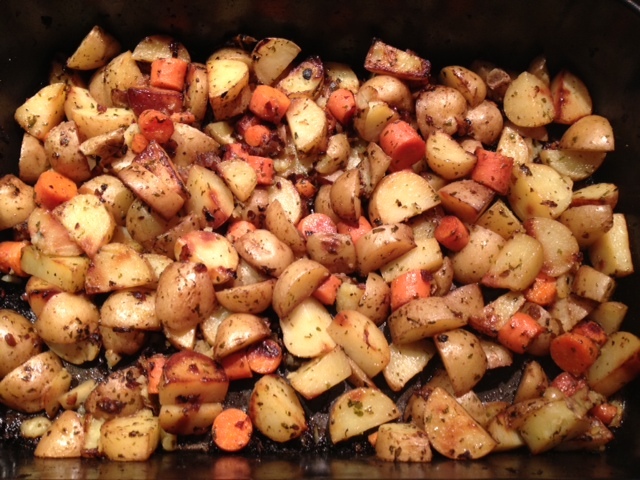 Add the potatoes, carrots, and shallot into a roasting pan and pour the dressing over them and toss so the carrots and potatoes are coated evenly. 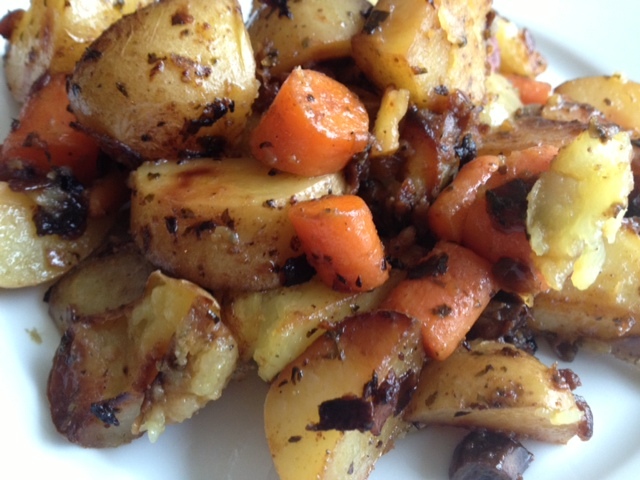 Season with a dash of garlic salt and black pepper and cook in a 400 degree oven for about 40 minutes, or until the potatoes are browned.